Celiac.com 09/09/2013 - Many people with celiac disease show slightly elevated liver enzymes, though these enzyme levels usually return to normal after gluten-free diet. A team of researchers recently set out to investigate the cause and prevalence of altered liver function tests in celiac patients, basally and after 1 year of gluten-free diet. The research team included Giovanni Casella, Elisabetta Antonelli, Camillo Di Bella, Vincenzo Villanacci, Lucia Fanini, Vittorio Baldini, and Gabrio Bassotti. They are affiliated with the Medical Department, and the Clinical Pathology Department of Desio Hospital in Monza and Brianza, Italy, the Department of Clinical and Experimental Medicine, Gastroenterology and Hepatology Section at the University of Perugia in Perugia, Italy, and with the Department of Laboratory Diagnostics, Pathology Section, Brescia, Italy. The team gathered data from 245 untreated celiac disease patients, 196 women and 49 men, ranging in age from 15 to 80 years. They then analyzed the data, and assessed the results of liver function tests performed before and after diet, as well as associated liver pathologies. In 41 patients (95%) the elevation was mild, meaning that it was less than five times the upper reference limit. The remaining two patients (5%) showed marked elevation, meaning levels more than ten times the upper reference limit. After patients eliminated gluten for one year, aminotransferase levels normalized in all but four patients, who had HCV infection or primary biliary cirrhosis. Celiac patients who show hypertransaminaseaemia at diagnosis, and who do not show normalization of liver enzymes after 12 months of gluten-free diet, likely suffer from coexisting liver disease. In such cases, the research team recommends further assessment to assess the possible coexisting liver disease. Spotting and treating coexisting liver disease in celiac patients is important for improving liver function and preventing possible complications. Celiac.com 05/31/2006 - I previously discussed how liver abnormalities are highly prevalent in celiac disease. Why damage to the liver occurs is unknown, and gluten toxicity and increased intestinal permeability have been proposed as factors. The following free full text article appearing in the current issue of Gastroenterology may shed light on why liver damage occurs in celiacs. Toll-like receptors (TLRs) reside on the surface of many cells which participate in the immune system. TLRs sense molecules present in pathogens but not the host, and when the immune system senses these molecules, chemicals are released which set off inflammatory and anti-pathogen responses. One class of molecules recognized by TLRs and common to most pathogenic bacteria is lipopolysaccharides (LPS). Gluten increases intestinal permeability in celiacs. The disruption of the intestinal barrier permits endotoxins, such as LPS, from gut bacteria to reach the portal vein of the liver triggering a TLR response from immune cells in the liver. Proinflammatory mediators are released cascading into the release of more chemicals leading to inflammation and liver damage. This may be the cause of liver damage in celiacs. Gluten itself could also trigger a liver immune response. Kupffer cells in the liver are capable of antigen presentation to T cells, along with liver dendritic cells, and could initiate a T cell response to gluten within the liver. The following article is somewhat technical, but discusses the role of various liver cells involved in the immune process and how intestinal permeability and TLRs contribute to liver injury. 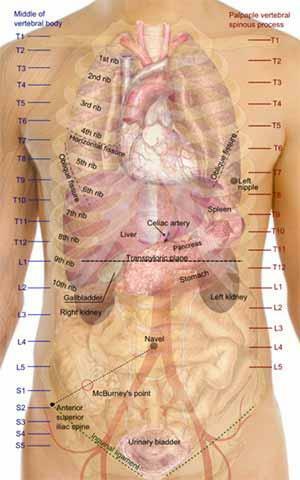 The article is a good read and provides valuable information about the liver I have not seen elsewhere. Celiac.com 09/16/2008 - A team of researchers recently set out to examine the connection between celiac disease and primary biliary cirrhosis, primary sclerosing cholangitis and autoimmune hepatitis. The research team was made up of Alberto Rubio-Tapia, Ahmad S. Abdulkarim, Patricia K. Krause, S. Breanndan Moore, Joseph A. Murray, and Russell H. Wiesner. The team measured the rates of occurrence for tissue transglutaminase antibodies (tTGAs) and endomysial antibodies (EMAs) in end-stage autoimmune liver disease (ESALD). They then correlated autoantibodies and the human leucocyte antigen (HLA) haplotype. Finally, they assessed the effect of liver transplantation on antibody kinetics. The team tested tTGA levels on blood samples from 488 prior to transplant. 310 of these had ESALD, and 178 had non-autoimmune disease. The team tested positive samples for EMAs, and retested at 6-12 and =24 months after transplant. They then correlated their results with the HLA type of the recipient. The results showed that 3% of ESALD patients showed evidence of celiac disease compared to 0.6% of those with non-autoimmune disease. This represents a five-fold greater risk for those with ESALD. The prevalence of tTGAs was 14.2 for ESALD patients compared to 5.4% for those with non-autoimmune disease (P = 0.0001). The prevalence of EMAs was 4.3 for ESALD patients compared to 0.78% for those with non-autoimmune disease (P = 0.01)—significantly higher for those with HLA-DQ2 or HLA-DQ8 haplotypes. After transplant, tTGAs and EMAs normalized in 94% and 100%, respectively, without gluten elimination. Also, three out of five patients with classical symptoms of celiac disease improved. The research team found two cases of intestinal lymphoma in two cases that showed no clinical signs of celiac disease. Patients with ESALD, particularly those with HLA-DQ2 or HLA-DQ8 gene haplotypes, showed greater occurrances of celiac disease-associated antibodies. Following liver transplants, both tTGA and EMA levels decreased without gluten withdrawal. The team also concluded that symptoms of celiac disease might be improved through immune suppression, but those improvements may not prevent the disease from progressing to intestinal lymphoma. The study doesn’t tell what effect, if any, early detection and treatment of celiac disease might have on rates of ESALD. It would be helpful to know if celiac disease contributes to liver disease, if liver disease contributes to celiac disease, or if some third connection links the two. Until then, we’ll just have to keep a tight eye on developments concerning celiac disease and liver disease. Liver Int. 2008; 28(4): 467-476.